Having permanent magnets available around the work site can help speed up jobs done around the work site, make some jobs possible, and be a vital part of your manufacturing process. Without magnets in some application the work could simply not happen. 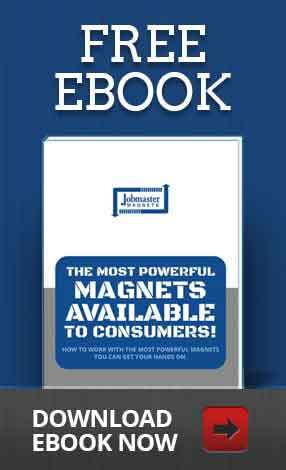 Read on to discover what magnets can do at your workplace.s vitae. A magnetic sweepers is used to help lower maintenance costs by removing potentially harmful metal objects from working areas. They act like a magnetic broom that keep tires from being punctured on loading docks, driveways, and airport landing strips. They can also help clean up employee work areas, removing metal from the floor that could be stepped on. 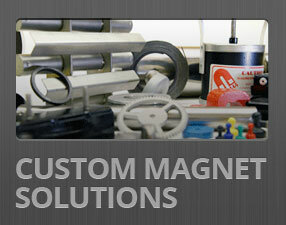 Magnets can be used to sort out magnetic material from non magnetic material. This is especially helpful in the mining industry to separate the metal being mined from ore. In the food industry manufactures use magnets to pull tiny iron particles out of food. A more miscellaneously used sorting method is using permanent magnets to remove coins from other materials. There are all kinds of magnetic conveyors, separators, plates, pulleys and grates that are being used to separate ferrous material from industrial flow. Magnets similar to these are also used to recover ferrous objects from the depths of the ocean during ship salvation operations. Several products have permanent magnets in them as part of how they work. Examples include: headphones, computer and stereo speakers, doorbells, telephones, microwave ovens, televisions, computer monitors, power supply transformers and still many more. Without a permanent magnet it would not be possible to manufacture these products. 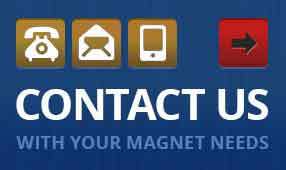 Contact us today to find the right permanent magnets for your application! This entry was posted on Saturday, December 8th, 2012 at 10:14 pm and is filed under Magnets. You can follow any responses to this entry through the RSS 2.0 feed. You can leave a response, or trackback from your own site.